Send Flowers to Paraguay through our extensive network of local florists in Paraguay. 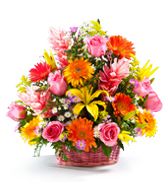 Flowers to Paraguay can be sent same-day when you order by 12 noon Paraguayan time. Use daFlores florists to send gorgeous flowers to major cities in Paraguay. When you send flowers to Paraguay with daFlores, you're taking advantage of the best this country has to offer. A daFlores flower delivery in Paraguay uses expert florists who craft amazing bouquets from the freshest, locally grown materials. Delight your loved ones today – and we mean that literally. 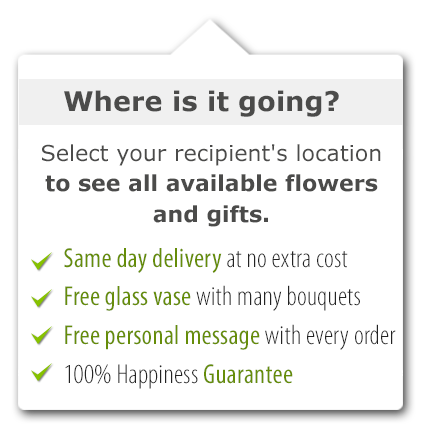 If you order by noon local time in Paraguay, we can usually send your flowers same-day. Whether you use our florists in Asuncion, the capital of Paraguay, or send blooms anywhere else in this beautiful country, the service is the same. DaFlores.com visits all our flower shops in Paraguay personally to ensure they have the expertise and passion we need to provide great service and quality. Unusually for South America, Paraguay recognizes both Spanish and native Guarani as official languages, though the latter are definitely in a deep minority – yet millions are “mestizo,” or mixed Spanish-Guarani. Paraguay is split in two, east-west, by the Rio Paraguay. It has marshes, plains and hills, two distinct regions with lots of flowers which our growers can nurture. Of course, our flower shops in Paraguay don't just go around picking flowers willy-nilly. They bring in fresh blooms from expert growers every morning, allowing us to make you a promise that your flower delivery in Paraguay will remain fresh for at least a week! Paraguay is land-locked and a growing economy that brings together exports and agriculture, especially soy. We appreciate soy, we really do, but we appreciate your flower delivery in Paraguay more. DaFlores' flower shops in Paraguay source their flowers locally and help us keep our 100 percent satisfaction promise to you. 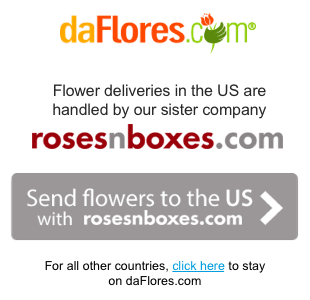 It really doesn't get better than daFlores when you send flowers to Chile, Paraguay or any other country in the Americas. Same Day Flower Delivery to all cities in Paraguay. Para ver esta página en Español, favor visitar nuestra página de Enviar Flores a Paraguay.